Brian James has developed his clairvoyant and Reiki abilities at Feathers Academy attending numerous courses at Feathers and on the Feathers Retreats in Spain. He runs Reiki Share classes with Anne Jones which are held every month. He also runs a Closed Circle for those who have previously been on Jackie and Steve’s Awareness and Development courses at Feathers. Apart from being a Usui Reiki Master Brian James is also a trained Hypnotherapist specialising in Past Life Regression. He holds a Diploma and an Advanced Diploma in Past Life Regression therapy. He is a fully insured member of the Past Life Therapists Association. Usui Shiki Ryoho (the Usui System of Natural Healing), is a Japanese Healing Art. A little over 100 years ago a Japanese man, Mikao Usui, began a personal search that ended with his having contact with the energy he called Reiki. His practice grew and eventually Reiki was introduced out of Japan via Hawaii in 1937 by Hawayo Takata. It is passed on from one person to another through a specific initiation, teachings and a defined form of practice. The Japanese word ‘Reiki’ can be translated as ‘universal life energy’ and the Usui System is a way of working with Reiki for healing of self and others. The word healing is used in the sense of regaining harmony and wholeness. It does not and can never be used to replace traditional medicine but can be utilized to run alongside it. Usui Shiki Ryoho addresses the whole person on the physical, emotional, mental and spiritual levels and those that we cannot identify at the present. While Reiki is spiritual in nature, it is not a religion. Reiki is not dependent on your own belief system at all. The method of receiving Reiki is simple. The recipient remains clothed and lies on a ‘Reiki table’ or sits on a chair and relaxes. The practitioner gently places their hands in a series of non-intrusive positions on or near the body. There is no massage or manipulation. The whole person is treated rather than specific areas. Sessions can take 45 minutes to an hour-and-a-half, depending on the client’s needs. Each person experiences Reiki differently depending on their individual needs at the time. Clients may or may not feel sensations during a Reiki treatment. Benefits reported by recipients include deep relaxation promoting a calm, peaceful sense of wellbeing on all levels. Some people feel sensations of heat, tingling, or experience seeing colours, whilst others can have an emotional response, indicating that energy shifts are taking place. Brian James is available for Reiki treatments, either at Feathers Academy in Northwich, his home in Warrington, or at your own home. He can introduce Shamanic elements to the treatment if requested and can guide clients on ‘Shamanic Journeys’. Many clients have reported that they have enjoyed this additional element to the treatment. Shamanism is a spiritual practice found in cultures around the world from ancient times up to the present day. The common theme is that practitioners believe in ‘none ordinary reality’ or what many modern scientists refer to as other dimensions. Many formalised religions, from Buddhism to Christianity, came from ancient shamanic roots and still bear the shamanic threads of deep connection to the divine in all things. But shamanism itself is not a formalised system of beliefs or an ideology. Rather, it is a group of activities and experiences shared by the shamanic cultures around the world. These practices are adaptable and coexist with different cultures, systems of government, and organized religious practices. A Shamanic Journey is a journey via meditation to ‘none ordinary reality’ where spirit allies can assist with healing and spiritual knowledge. Past Life Regression is a technique which will take an individual back through time to their previous lives by accessing normally hidden memories in the subconscious mind. If therapy is required to deal with issues from a past life then it needs a trained therapist in order to do this. In order to access the subconscious the therapist employs the use of hypnosis along with visualisation procedures similar to those used in some forms of meditation. There have been many possible explanations put forward as to what past life experiences may be and you are free to choose which ever theory feels comfortable with your beliefs. GENETIC MEMORY: A theory suggesting that our memories are passed on from one generation to another through the cell structure or DNA. This can’t explain why most people regress back to many different cultural backgrounds in foreign lands. FANTASY: Are we just making it all up? This is a question that does get asked. There are many cases in the public domain that can be documented through historical research. Research can sometimes prove the accuracy of the information, far beyond the chances of random imagination. A quick search on the internet will show you what I mean. SOUL MEMORY: The idea that people can access the memory of another soul, through the ‘Akashic’ records - the spiritual record of everything that has ever happened. This can be quite acceptable to some, but it doesn’t account for the continuity of character traits which seem to pass from one life to another. Why do people have a Past Life Regression? REGRESSION THERAPY - Our character today represents a culmination of all the experiences we have had over numerous lifetimes. These past life events affect many aspects of our behaviour, and in some cases, past deep emotional traumas can cause psychological problems which cannot be cured with ordinary psychotherapy. Past life regression therapy can release these repressed thoughts and bring about a beneficial change. RELATIONSHIPS - Quite often, groups of interacting souls reincarnate together and take on the roles of relations, friends or even rivals. Many believe this happens to balance the laws of karma - the harmony or disharmony caused by peoples’ behaviour towards each other. Have you ever met someone for the first time, yet feel you have known them all your life? A regression therapy session will help you find these people. Each Past Life Regression session will be digitally recorded so that each client can have their own copy of the session. The recording can either be copied onto a CD or sent to you as an e-mail attachment so that you can save it to any of your suitable devices. 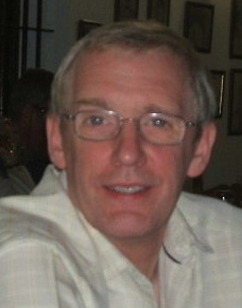 Brian James is available for past life sessions, either at Feathers Academy in Northwich, or at his home in Warrington. Each session lasts approximately one and a half hours.